Should podcasters use an itpc or a phobos address? There are two ways to get people to subscribe automatically to your podcast’s RSS feed in iTunes. One is the direct solution, the other consists in submitting your podcast to Apple’s service to get a special URL. If one has an exposure advantage, the other has a more philosophical appeal. Here’s why. We call it phobos because it’s part of the URL Apple gives you when you submit your podcast for a review (http://phobos.apple.com/some_special_link_to_your_itunes_show_page). The process is simple. You fill the form on Apple’s website to get your podcast listed in their directory. Apple gives you back a link you can add to your website to make people subscribe to your podcast in iTunes. When you click on it, it opens a webpage that gives a command to open your podcast page in iTunes. Then, the user can review the information and click on a button to subscribe. The advantages are huge. You get listed in the iTunes directory, which is THE biggest podcast directory out there. If you’re starting up, it can help you get listeners ’till people can properly find you on Google. The downside is that, it still gives power to Apple. But if you want to have a successful podcast (and downloads), it’s a good starting point. Let’s face it: iTunes it the standard concerning podcasts and if you want to reach the masses on the internet, always go with the standard. Like if you publish video, you can do it on a minor platform but please, publish also on Youtube. It is even simpler than phobos but a bit trickier. You don’t have to submit anything to any service because it’s an URL you build on your own. You take the address of your feed and you replace the http by itpc. It’s as simple as that and gives an address like: itpc://name_of_your_show.com/?feed=rss2. Once again, you add it to your website to make people subscribe to your show in iTunes. With itpc, it opens iTunes, subscribe automatically and start the download of the latest episode. The main advantage of this method is to have people to subscribe and download with only one click. It doesn’t open an iTunes page where people still have to click or something. It’s pretty straightforward and less complicated for those who aren’t used to podcasts. From a philosophical point of view, this makes you totally independant. You don’t cooperate with Apple and don’t know the existance of you show… but still get downloaded via their application. Another solution is to use both. You can submit your podcast to iTunes but don’t absolutely have to use the phobos address. You can simply build your own itpc and use it on your website. This way, people will find you in iTunes AND you’ll have the simple one-click subscription an itpc address has to offer. Is it perfect? No! The itpc address just doesn’t work on an iPhone… but the phobos does. That’s where you have to make a choice: is that more important to you to have the less experienced people to subscribe to your show automatically on their computer, or focus on the tech-savvy people that might subscribe to your show on an iPhone? The choice of an iTunes-subscribe address is a matter of which crowd you’re looking for as an audience for your show. No matter which one you choose, you should always submit your show to iTunes. I’m with you, use both- but use phobos only for iPhone..
this big reason to lean on the itpc: address is that it’s always under your control – no one can change it on you. The phobos address is Apple-assigned – and could (and has for many people) change. Let’s say your show get delisted and reinstated, you may not get the same phobos address back.. That would be bad enough, but then you’d have to go find all the phobos links you’ve dropped everywhere (podcast directories etc..) and get them changed.. A nightmare! For me it’s the same discussion as having your own domain vs using a blogspot domain or something… It’s your content, you want to control it’s existence! Besides, your biggest audience isn’t on iTunes – it’s on Google. That’s where you want the links to be right, and to be yours. I agree on most of what you say Bob. An itpc adress is a good thing if you want to remain the owner of your stuff and have a certain control. And having an itpc address doesn’t prevent us from submitting our show to iTunes. At least, it’s good to know the issues before we make a decision. For all of my podcasts I’ve had this existential question. I’m using both. Don’t know if this helps me or not. All the links I promote are the ITPC trick you just gave and a pur Feedburner RSS HTTP address for those who don’t use iTunes. I did submit my podcast to the iTunes directory so my guess is that poeple who finds my podcast in iTunes will use the apple link and the others will use the ITPC link. BTW. : This might be a little off topic but for those of you who wants to turn a Youtube Channel or Youtube playlist into a simple mp4 video podcast, check this out: http://www.rsshandler.com/converter . Very handy. The good thing with your video show is that you have an iPhone version of the site and iPhone-compatible videos, so even if you use the itpc address, you still get the viewers. Don’t underestimate your chances to be featured in iTunes directory. I’ve been there a couple of times in the past and others like the Canadian Podcast Buffet. But you’re right, itpc don’t share any information with iTunes as the software is used as a plain aggregator. Thanks for the link, very helpful for the vidcasters! I think just add a phobos or a ltpc link could be an error. Podcaster shoul always also put a direct link to the podcast feed. I dont have itunes (not a choice) and i hate when i could not find a non-itunes feed link when i try to subscribe to some stuff. By default, a podcast publishing platform always produce an RSS feed but I agree that sometimes the link is less than easy to find. No matter if we choose itpc or phobos for the iTunes subscription, the original RSS feed should always be there. When is your next podcast. Feel like my iTunes didn’t get much from your end lately. To busy with the mac show? 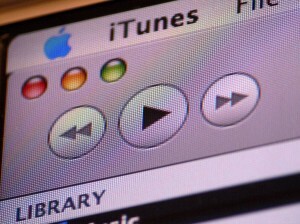 En passant, je confirme que c’est arrive a quelques reprises d’avoir utilisé les fonctions du ipod/iPhone pour essayer de nouveaux podcast ou de téléchargé des nouveaux épisodes quand je suis sur la route. Donc être sur itunes ne fait vraiment pas mal aux podcasters. Juste avec un lien RSS je devrais attendre a la maison et prendre du retard sur mon écoute. @Stéphane Prochain podcast probablement cette semaine. Ce n’est pas l’autre podcast qui me prends du temps, ce sont les projets pour mes clients. Question, How do I restrict podcasts on Itunes. What do you mean by restrict? Restrict accessibility?